The York University student was last seen around the water at Woodbine Beach. 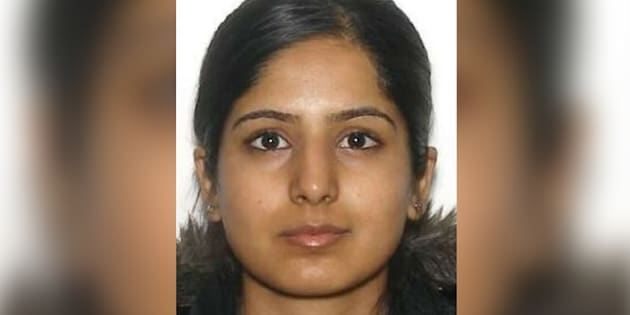 Zabia Afzal, 30, disappeared in Toronto on Thursday. TORONTO — The brother of a woman missing in Toronto says a widespread community search for his sister is helping his family get through a difficult time. Zubair Afzal said more than 100 people have joined the effort to find his younger sister, 30-year-old Zabia Afzal, a PhD student who has been missing since Thursday. Afzal's family is heartened to know there are so many people concerned about her, the woman's brother said. "It's the one thing that keeps us going," he said Monday. "Looking at the friends, looking at the community that's come out with support. We're trying to have positive thoughts." Zubair Afzal said 15,000 posters have been plastered all over Toronto — from the east-end community where his sister was last seen to the downtown core and up to York University, where she is a student. "She's a very smart, caring individual," he said. "She especially fights for women's rights." He says that his sister is also very communicative, so it's out of character for her to disappear without telling anybody. The family has also launched a social media campaign, and hundreds of people have tweeted and posted using the hashtag "FindZabia." Officers in York Region are collecting and investigating tips from the public, while Toronto police are searching the water around where she was last seen. They're asking anyone with information about Zabia Afzal's whereabouts to come forward.